This month we tried to get a bit of a Christ theme happening over April with Easter and all. AkidcalledChubz didn’t hit us with the obscure uptown gospel joints but he did come through with a deadly OST. 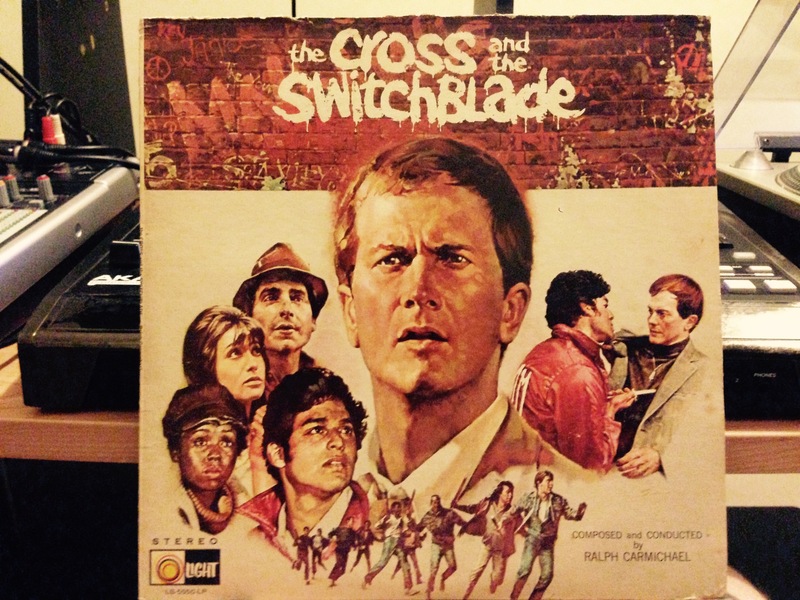 The soundtrack to the film, The Cross and the Switchblade which was based off a book from the 60’s about a minister who turns around the lives of NY gang members life through Christ…That was the Easter link and we ran with it. Decent soundtrack, Chubz had a couple of tracks to choose from but I though this one would be the most interesting to flip. Was great to see how these three utilized and approached the sample differently, giving some pretty varying results. All heaters in their own right. Shouldn’t be too tough to pick this round. Cheers to all involved. I’ll reveal next week sometime. Enjoy. Posted on April 28, 2015, in DONT SWEAT THE TECHNIQUE and tagged Dont sweat the technique, DSTT, Fluent Form, Servo. Bookmark the permalink. 1 Comment. taboo matter but usually folks don’t discuss these issues.